The vegetables in these sandwiches don't get soggy as they stand, and the flavors benefit from a little time together. How could bacon, blue cheese, and chicken be bad? We’ve made the combo even better with creamy avocado and sweet roasted bell peppers, but you could use tomatoes instead. 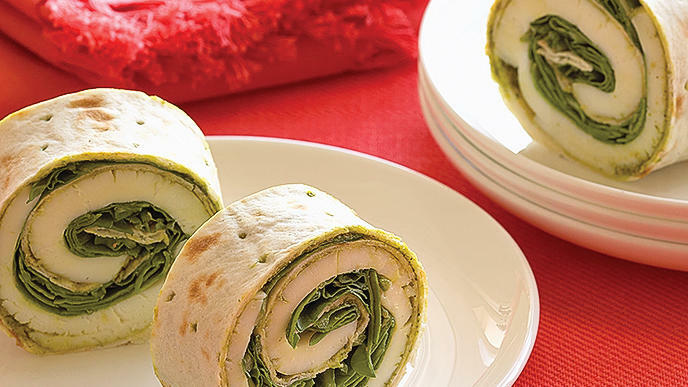 This easy wrap is perfect for when refrigeration isn’t available. 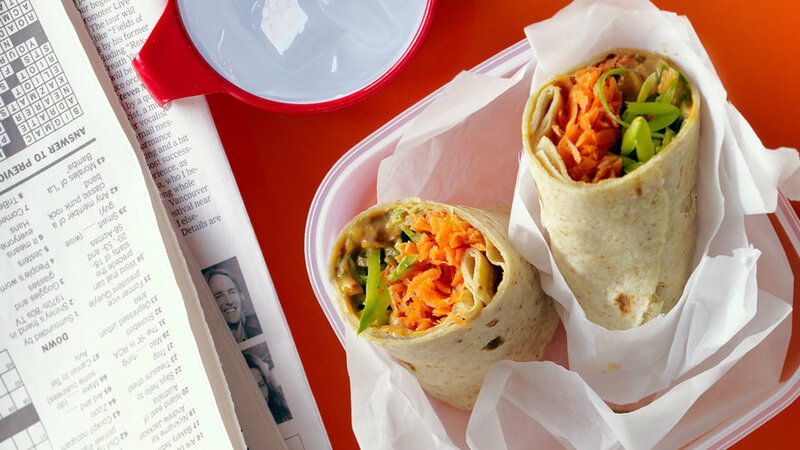 A little sweet, a little spicy, a little nutty-it’s sure to add zip to your lunch hour. 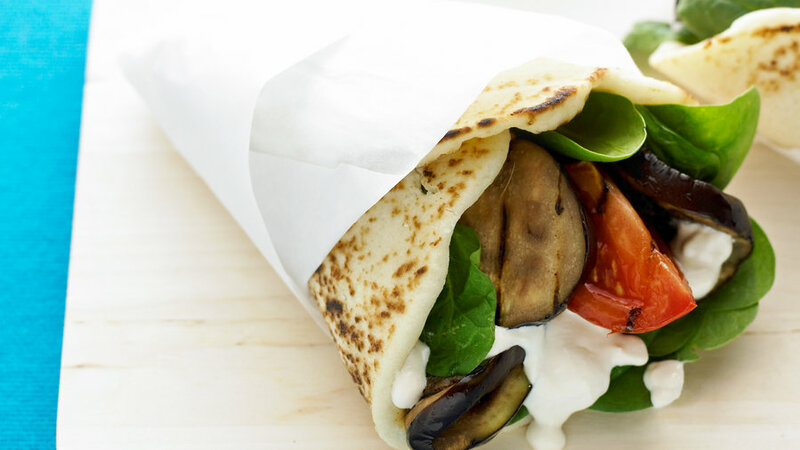 Loaded with fresh veggies, this is a fresh and healthy take on the classic lunch wrap. Sure, mayo-laden tuna salad is tasty, but not necessarily waistline friendly. 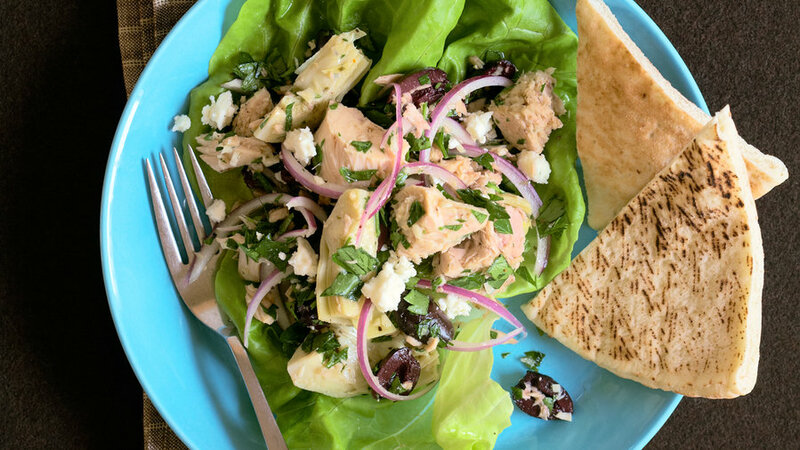 This easy Mediterranean spin on tuna salad omits the mayo in favor of tangy vinaigrette. 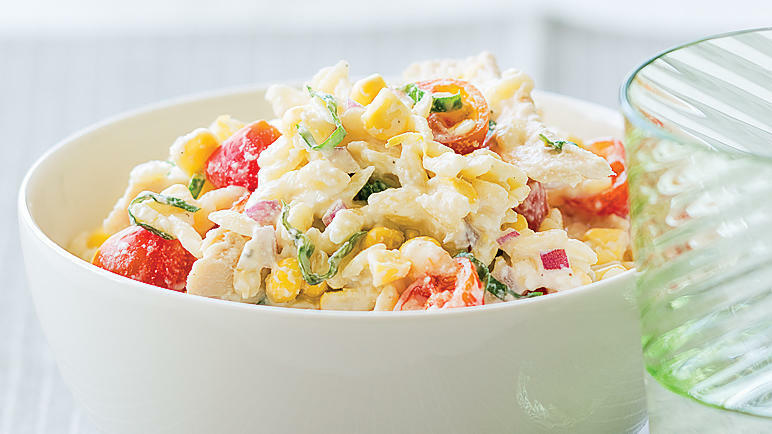 This easy pasta salad gets its creaminess from ricotta and sour cream for extra cheesy-tang. 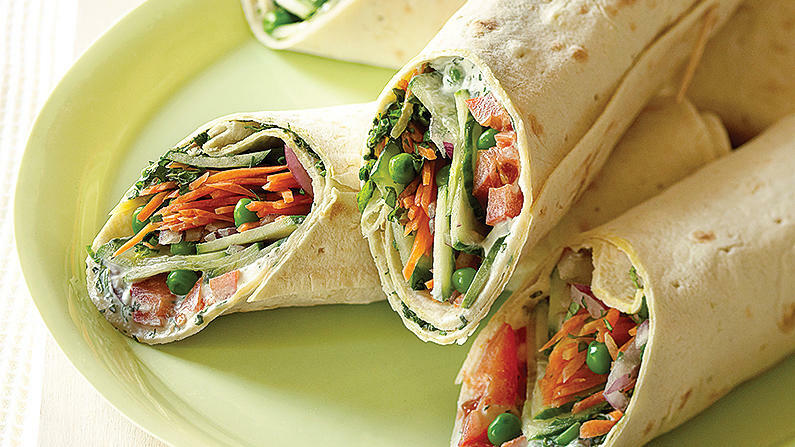 Substitute your favorite vegetables to add variety to your lunches. 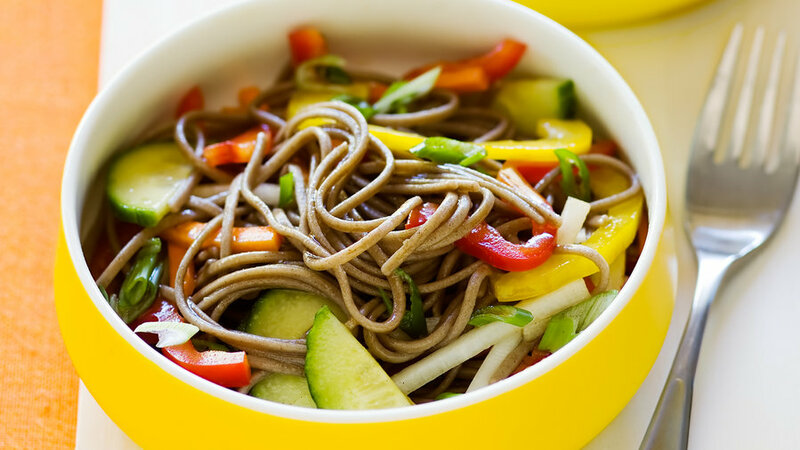 Nutty soba noodles are good both warm and cold and are perfect in this healthy vegetable-laden lunch-you won’t miss the meat. 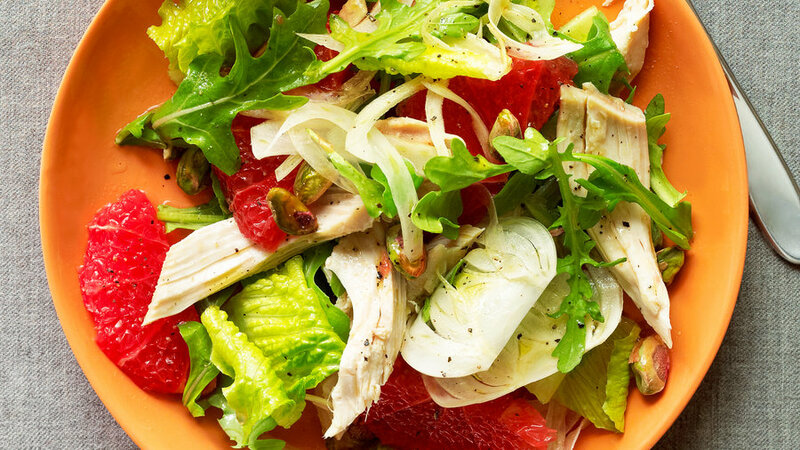 Pack your dressing separately from your greens and chicken and toss right before you’re ready to eat—this will prevent a soggy salad. 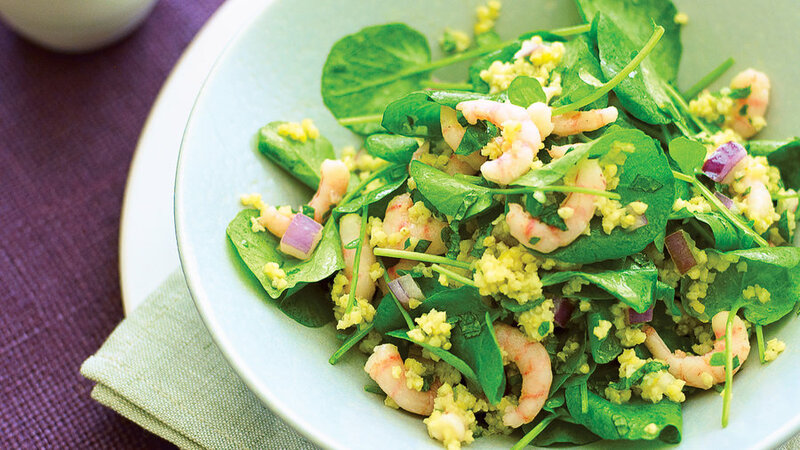 Using already cooked bay shrimp makes this salad a breeze to prepare. If you don’t have millet on hand, substitute whole-wheat couscous or your favorite grain. Because naan breads are so thick, they don’t get as soggy as other breads. 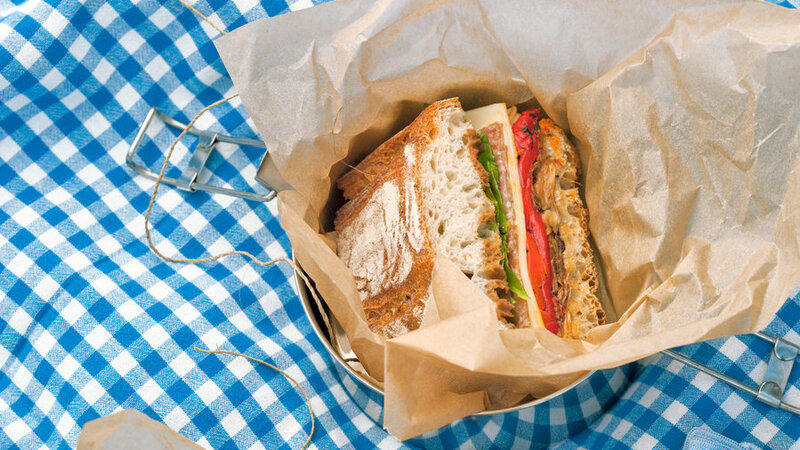 Grill extra eggplant so you can have these sandwiches throughout the week. With just 4 ingredients, this recipe couldn’t be simpler to prepare. Pair it with almonds and some fresh fruit for a complete lunch. 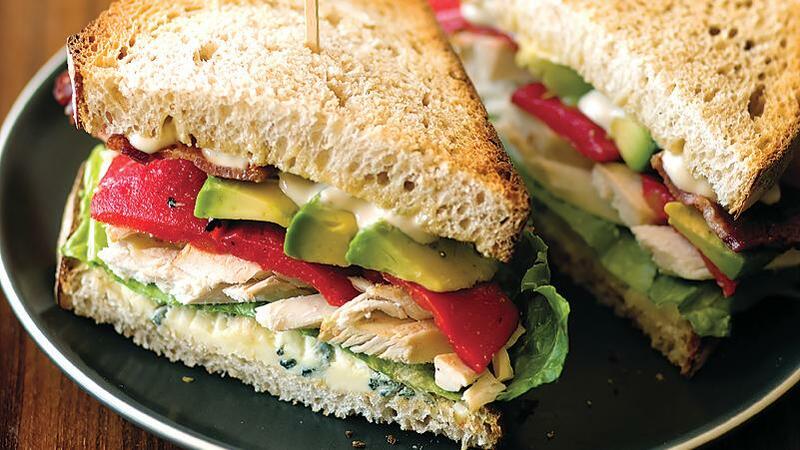 Everyone loves a turkey sandwich, but the classic can get old after a week or two. This version adds apples and chutney for a dose of sweetness and crunch to make you crave that turkey sandwich again.